Print Services, instant digital Print and Copying Services, Plan and CAD printing, Posters, Leaflets, Brochures, Business Cards and Stationery, Invites, Postcards, Scanning – in fact every thing you need in print. Signage, including Banners, Party Banners, Boards, Vehicle, Van and Window Graphics, Shop, Safety, Warning and Factory Signage, Pavement Signs. Corporate Clothing, T-shirts for events such as Stag and Han do’s, Hats, Safety clothing, Hi Vis jackets and vests, Hoodies, Table Cloths. Exhibition Equipment, Pop Up Display Units, Pull up Banners, Podium Cases, Frames, Bespoke Exhibition Stands. Speciality Print, onto Wood, Doors, Metal, Glass and Plastics. Wall Papers to your very own design, Personalised Mugs, Mouse Mats. We are here every step of the way, from Design to Delivery or Installation. 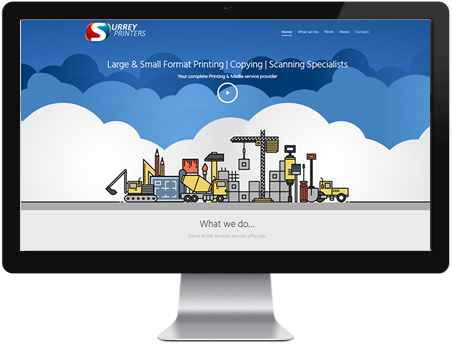 Surrey Printers Ltd is your local large format printing specialist and media solutions provider. We can print your plans, drawings or images from A0-A6, on plain paper, tracing paper or even photographic paper. 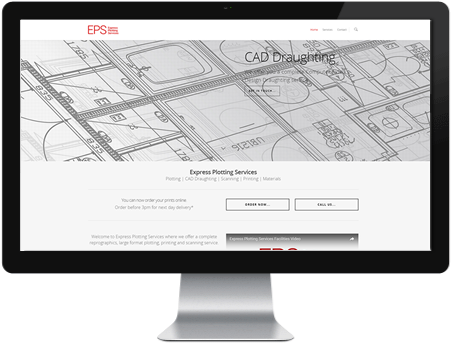 We have a specialist team of AutoCAD draughtsmen to work or your drawings and skilled designers to create your artwork. Brand identities including logo’s, business cards, flyers and letterheads are all created in-house.